Joshua is a Vancouver based immigration lawyer that provides immigration services to individual and corporate clients around the world. Joshua’s corporate immigration practice focuses on NAFTA professionals, intra-company transfers, labour market impact assessments (LMIA’s) and various paths to permanent residence through provincial nominee programs and Express Entry. He also works with individuals and families, with an emphasis on employment, investment, citizenship and family sponsorship based applications. He regularly assists clients with inadmissibility issues and frequently appears at provincial and federal tribunals and levels of Court. 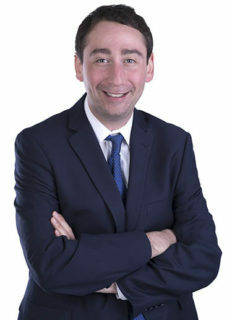 Joshua has a diverse background in immigration law, which has included litigating complex immigration matters, and the processing of various temporary residence, permanent residence and citizenship applications to Citizenship and Immigration Canada, the Canada Border Services Agency and international Canadian visa offices. 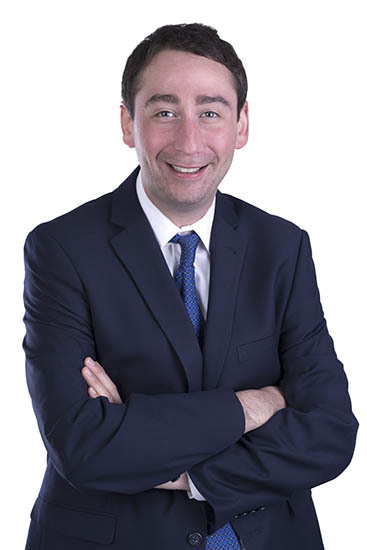 Prior to joining Larlee Rosenberg, Joshua practiced immigration law with other leading immigration firms in Canada. Joshua is committed to helping clients turn visions into working realities through creative and innovative immigration strategies and a client-focused approach. Joshua has been blogging for The Huffington Post since 2012. He regularly lectures on immigration matters and has appeared on various media outlets. Represents various multinational corporations in the movement of skilled labour and resources. Advocates on behalf of clients that have been deemed inadmissible to Canada, and for the release of clients detained by Canada Border Services Agency (CBSA). Assists clients under various programs including Skilled Worker Class, Canada Experience Class, Provincial Nominee Programs, Family Class including spousal sponsorship, In-Canada Spousal Class and Humanitarian & Compassionate categories. Appeals applications that have been refused by Immigration Refugee and Citizenship Canada (IRCC) before the Immigration and Refugee Board (IRB) and the Federal Court of Canada (FCC). Author, “Immigration Law is the New Personal Injury Law.” (http://www.huffingtonpost.ca/joshua-slayen/immigration-law-is-the-new-personal-injury-law_a_23259477/) The Huffington Post, 31 Oct. 2017. Author, “The Relationship Between Immigration Law and Social Media.” (https://www.linkedin.com/pulse/relationship-between-immigration-law-social-media-joshua-slayen/) LinkedIn Pulse, 27 Oct. 2017. Author, “Immigrant Fighting to Stay in Canada? These Should be your First Steps.” (http://www.huffingtonpost.ca/joshua-slayen/immigrant-fighting-to-stay-in-canada-these-should-be-your-1st-steps_a_23243546/) The Huffington Post, 10 Oct 2017. Author, “Canada Welcomes Foreign Tech Talent with Global Skills Strategy.” (https://hired.com/blog/employers/author/joshuaslayen/) HIRED.com, 21 Sep. 2017. Speaker, “The Immigration Consequences of Criminal Convictions.” Lecture, Rees & Dyck Criminal Defence, Winnipeg, Manitoba, December 2016. Author, “A Year-End Reflection on the Practice of Law.” The Huffington Post, 12 Dec. 2016. Co-author, “Canada Welcomes International Students.” LinkedIn Pulse, 12 Dec. 2016. Co-author, “Express Entry Rules Have Changed for Foreign Workers in Canada.” The Huffington Post, 7 Dec. 2016. Co-author, “Canada Has a New Entry Requirement (And Fee) for Foreign Flyers.” The Huffington Post, 25 Nov. 2016. Co-author, “Manitoba Welcomes Farmers.” The Huffington Post, 18 Nov. 2016. Co-author, “9 Ways You Can Move to Canada, According to an Immigration Lawyer.” The Huffington Post, 14 Nov. 2016. Speaker, “Study Permit Refusals: The Basics, Regulatory Changes, Refusals and Judicial Review.” Presentation and Webinar, Canadian Association of Professional Immigration Consultants, Winnipeg, Manitoba, April 2016. Speaker, “Transferring Foreign Legal Credentials to Canada.” Lecture, University of North Dakota School of Law (satellite), Winnipeg, Manitoba, April 2015 and 2016. Speaker, “The Transition from Law School to Lawyering.” Lecture, University of North Dakota School of Law, Grand Forks, North Dakota, April 2015 and 2016. Author, “How to Have a Good Relationship with Your Lawyer.” The Huffington Post, 16 Mar. 2016. Quoted, “Winnipeg Man Fights Deportation Order After Sexual Assault Conviction.” CBC News and Yahoo News, 8 Mar. 2016. Author, “The Transition from Business to Law.” The Law Insider, 2 Nov. 2013. Frequently lectures immigration lawyers, consultants and law students on various areas of immigration. Regularly assists prospective law students, law students and young lawyers with law school and law firm applications. Provides pro-bono legal services to non-profit organizations.